Recap: The Amazing Race Australia vs New Zealand, Episode 4 – "We have a lot of experience with poo." 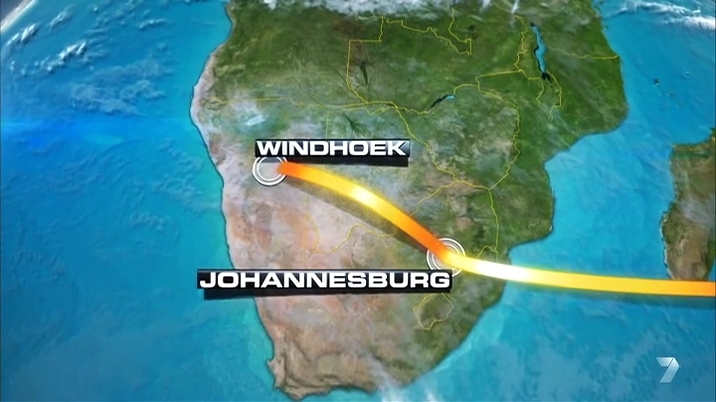 Teams are off on the 4th Leg of the Race as they must now fly to Windhoek, Namibia. At the Windhoek Airport, they’ll find a marked four-wheel drive with their next clue. At the Krabi Airport, Emily & Jon and Sally & Tyson express their mutual dislike of John & Murray. Carla & Hereni, meanwhile, are thankful to them for the Express Pass. All teams are on the same flights from Krabi to Winhoek through Bangkok and Johannesburg. 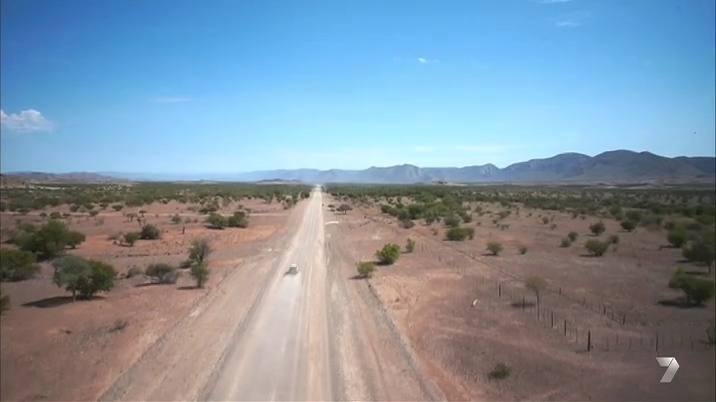 Once in Windhoek, teams open the next clue directing them to drive themselves to Na’an Kuse Wildlife Sanctuary. There, they must walk to young baboons to the feeding area to receive their next clue. The Sanctuary is near the University of Namibia. And while all the other teams find the Sanctuary, Daniel & Ryan get lost and then get led in the complete wrong direction. 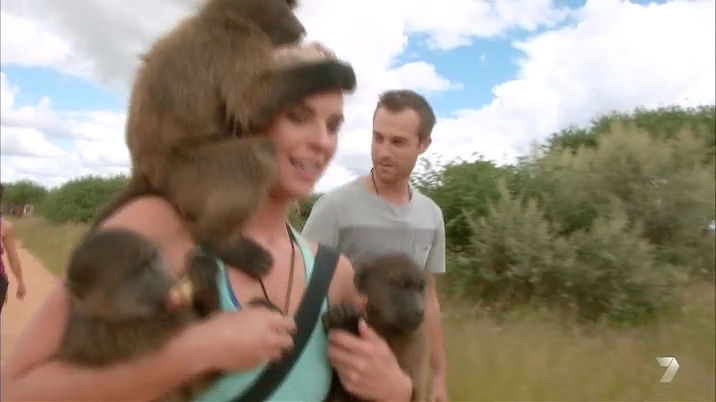 The teams start leading their frisky and cheeky baboons down the marked path. And it is definitely not easy. The teams stick together, which allows the baboons to go crazy. 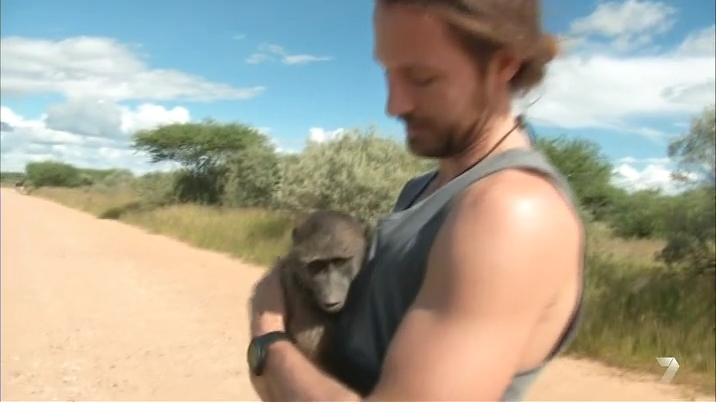 The baboons especially love Emily. That’s when John makes a remark about how this task obviously doesn’t require any skill for Emily to be doing so well. That absolutely riles Jono up. Jono expresses his displeasure with the comment and John says it’s alright since he can “drop” Jono anytime. Emily tries to get her brother to calm down. Once teams have delivered their baboons, they get the next clue revealing the Road Block. For this Road Block, teams will prepare two buckets of lion feed. Each bucket must contain the correct proportion of animal innards and a section of ribs matching the example provided. They will then bring the buckets to the lion enclosure. 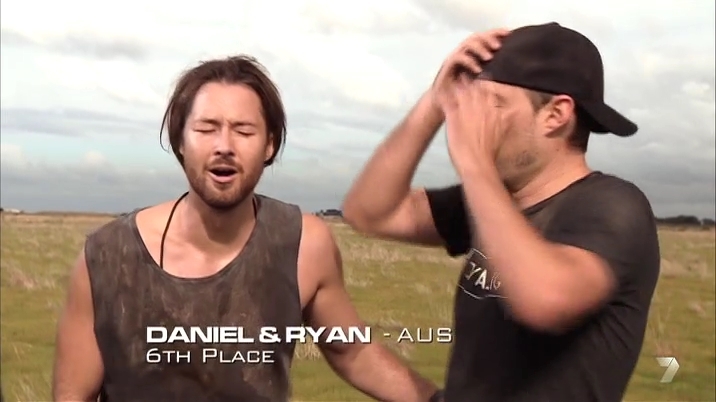 The six teams get started with the slimy, bloody Road Block as Daniel & Ryan finally get the correct directions. Jono finishes cutting up the food first and heads for the lion enclosure, fired up and motivated to beat John. But along the way, Jono suddenly feels faint under the hot sun. He stops for a breather, but then hears John coming up behind him. He keeps going until he just collapses on the ground. John sees Jono and stops to help him up. “I can’t see,” Jono says. John picks him up and puts his hands on the wheelbarrow. Just listen for me and follow, John says. Jono follows. Back at the meats, Carla ends up cutting the wrong meat so she and Hereni decide to use their Express Pass (they only have this Leg and next to use it). The next clue points them to a nearby school where they must learn a song in the local San dialect and perform it with the local schoolchildren. They get the hang of the clicking sounds in the language and after they perform the song, the kids give them the next clue revealing the Detour. For this Detour, teams must travel by donkey cart to a bushman’s village. In Pipe, teams must use a traditional bush method to start a fire. Only when the tribe’s chief has lit his pipe with their fire will they get the next clue. 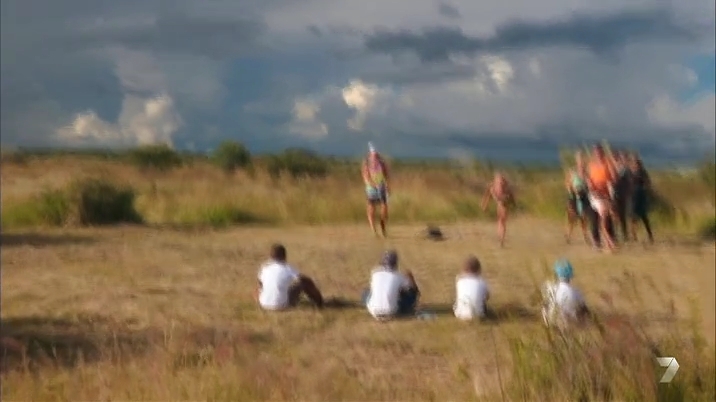 In Poo, teams will play a local children’s game known as Bokdrool or poo spitting. Teams must spit two pellets made of dung over a line 8 meters away. Carla & Hereni choose Poo. Daniel & Ryan finally arrive at the Sanctuary and must catch up. 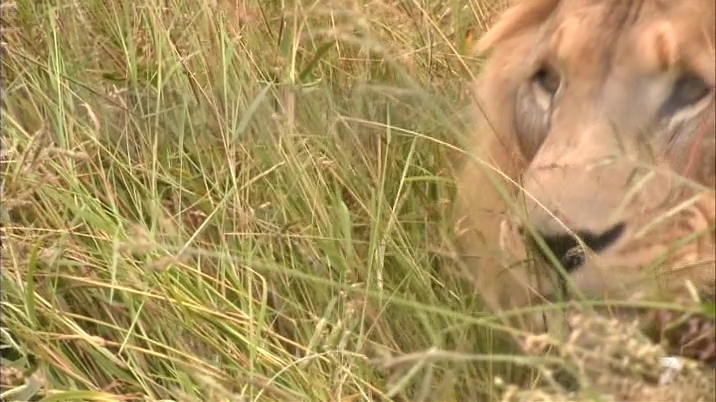 Tyson doesn’t know how to get to the lion enclosure, so he waits and teams up with Jarrod. Already at the lion enclosure, Jono again collapses and says he can’t see anything. John continues on with the task, thinking Jono is just being a huge baby. John runs off. Jono finds his Additional Info paper is now all bloody and torn up and he is not sure what to do next. He approaches Jarrod and slyly asks to see his clue, but Jarrod does not bite. Jono then moves on to Tyson, but Jarrod yells over to him to say not to help. Daniel & Ryan arrive and are happy to see all the teams still there. Daniel gets started with the Road Block. Meanwhile, Carla & Hereni stuff poo into their mouths and start spitting. On the way back, Jono is again struggling and in pain. Jarrod and Tyson are on his tail. Jarrod tells Tyson Jono is “weak as piss” and should’ve gotten his sister to do the task. Jarrod and Tyson end up passing Jono who again takes a rest to cry a little bit. He doesn’t want to let his sister down. Jono still arrives back at the start before John who gets himself lost. Carla & Hereni get their four poo pellets across the line and can now head to the Pit Stop, the Na’an Kuse Watering Hole. There, Grant officially checks them in as Team #1 and awards them 500,000 Virgin Australia Velocity Frequent Flier Points they can use for anything. For example, two round-trip Business Class tickets to Los Angeles. Tyson & Sally and Ashleigh & Jarrod get the thumbs up from the kids and hop onto the donkey carts. They pass lost John on the road and Jarrod points him in the right direction. 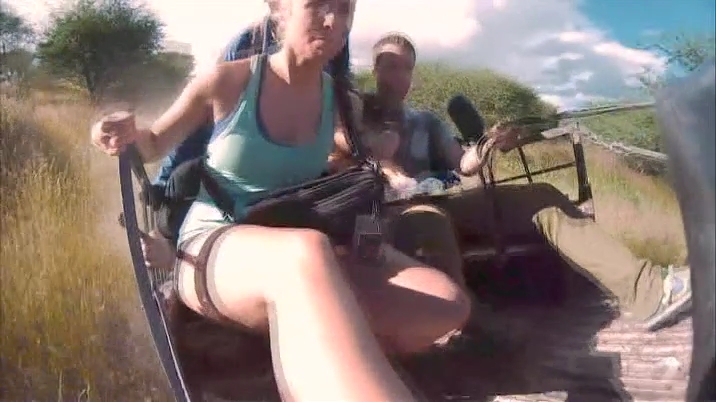 Emily & Jono’s donkeys decide to speed up downhill and they end up crashing into a bush. Jono tells Emily to get out of the cart, he’s had enough of this crap. But they jump back in when John & Murray catch up to them on the road. Ashleigh & Jarrod arrive at the poo. Jarrod gets his two poos across the line, but Ashleigh now has to go to the back of the line when Sally & Tyson, Emily & Jono and John & Murray arrive. Emily & Jono decide to switch Detours, sure that no one would be able to do the poo. They start getting their fire ready and seem to have it, but it suddenly goes out when they go to light the tribe leader’s pipe. 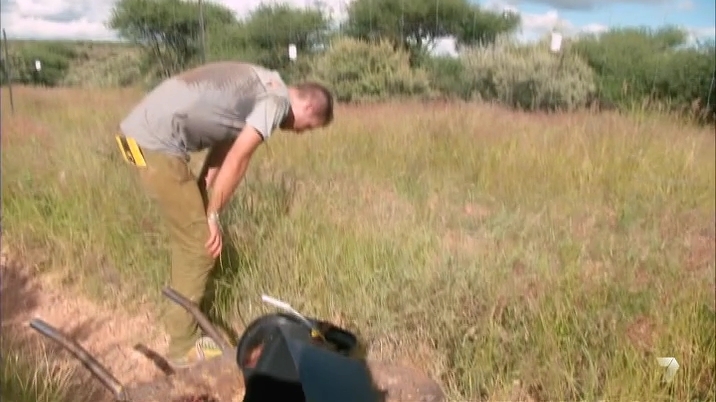 The failure causes Jono to again collapse in pain and frustration. Back at the poo, John & Murray pass Ashleigh & Jarrod who are next. They head to the Pit Stop to finish 2nd and 3rd, respectively. Cat & Jesse arrive at the Detour and manage to pass Sally & Tyson. They finish 4th and 5th, respectively. That leaves Emily & Jono and a surging Daniel & Ryan. The nurses choose poo and they get their poo across the line just as Emily & Jono make fire and light the pipe. It’s a footrace to the Mat. But Jono’s legs give out and he again falls to the ground. That results in Daniel & Ryan coming out on top. They officially finish as Team #6. Emily & Jono push forward and head to the Pit Stop, not expecting that they are the last team to arrive and are eliminated. They are upset, they can’t believe it. But they accept their defeat. Now this was an amazing episode and Leg. The competition and tasks were great. There was drama, good competition and lots of fun moments too. Plus, Namibia looked stunning. The cinematography was amazing. Come on now, TARUS never looked like this. There’s just that wonderful cinematic quality to TARAu (even more than TAR Canada) that really just makes the show so stunning and beautiful. This Leg was the perfect example of that. The Road Block was fun, but incredibly challenging. Having to cut through all that meat, then rolling it through a long way in the blazing sun looked brutal. Maybe not as brutal as Jono made it out to be, but still challenging. The extra task with the children was an awesome cultural thing. Local kids and old people are always awesome on the Race. The Detour was also interesting. Putting poo in your mouth will always be interesting fun, but the fire making was a great task (though definitely the harder choice) because it got them right in the middle of local culture. And a brand new country in each Leg! WOW! Why couldn’t Emily & Jono have been this crazy and fun in the first three Legs? They were AMAZING this Leg. Like, seriously. What an insane mess of a Leg for them. It was amazing to watch. It all started with their borderline racist “African” dance at the Pit Start. lol They were certainly good Racers, but boring for me in the first three Legs. But in this Leg, they showed that they could be good Racers while also failing miserably and very overdramatically. It was seriously insane. lol I’ve never seen such a bipolar Leg from a team as theirs in this one. Too bad they were eliminated because I would have loved to have seen their rivalry with John & Murray continue and them get into even bigger messes in the future. Oh well. Carla & Hereni had a good Leg. It would’ve been nice for them to have won the Leg without the Express Pass, but that Road Block probably would’ve dragged them down to almost last. They showed signs of their Leg 1 selves which is great. Sally & Tyson really are a different team from their own first Leg. They are definitely a fun team who will certainly rock physical challenges. And they can still provide the random lolz too. Cat & Jesse were alright this Leg. Not as many fun quips though. Ashleigh & Jarrod were okay too. I am definitely enjoying #BloodyJarrod well enough. Maybe not as much as Seven’s hype, but he’s definitely amusing and Ashleigh has shown to be very strong as well. John & Murray are just really too much. They are not a fun team to root for and if not in a rivalry, they would be unbearable. I hope the other teams get on their case in the next Legs. It was nice of him to help Jono up though. (lol) But then that pretty much proves they are the Kiwi Art & JJ.